Discussion in 'Classic Sesame Street' started by Pig's Laundry, Oct 5, 2016. You will not believe this. 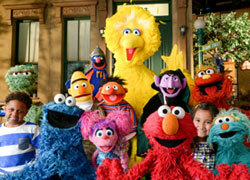 Sesame Workshop uploaded a full classic episode to their YouTube channel today. A long lost episode that I haven’t seen since it aired, and one of the few season 24 episodes I don’t have! Episode 3061, the Worm Winter Games. Somehow I had a feeling they would release this one. Maybe someone can fill in what's missing on Muppet Wiki. 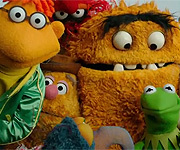 Do you think that you can fill in what's missing on Muppet Wiki? It's already filled in. Oscarfan did it. Let's hope it sees the light of day at one point or another! LittleJerry92, Froggy Fool, zns and 1 other person like this. I guess I missed this, but I didn't realize the missing bits were completed so long ago (in February 2018). I recently looked at the page, after nearly all of the 1990s episodes were given complete rundowns thanks to trusted sources, and I thought that was the source for what was missing, but seeing this post, I see that it was actually completed before the trusted sources came to a few wiki contributors. So the only thing missing was the celebrity version of Monster in the Mirror. Considering Sesame Workshop has officially uploaded that one online through various sites, I wonder if it is because of the celebrities (maybe a different deal between releasing it on its own or as part of an episode or compilation) or if it was just because they'd uploaded it already and wanted to save time after adding credits. Though I also wonder if it would have been a big deal if this version of the episode ran past 60 minutes (after all, it's not like it's a television broadcast). After Muppet Wiki has recently been able to add a lot of episode pages from trusted sources, I've learned of a lot of episodes I really want to see. Episode 129 looks cool. This one has Oscar hosting the show, including interrupting the opening (I wonder if that's the first time the opening was interrupted). The weeks of episodes where the Fix-It Shop gets repaired/refurbished sounds good (okay, I learned about this from CTW Archive sources, no guide from trusted sources has been made yet). Episode 1259, Bruno's debut, also looks interesting. There's a lot of scenes, from the descriptions, it sounds like we see Bruno with Oscar's trash can as well as Oscar's can placed in the same scene. Although the show was rerecorded and not live, I wonder if they would have gone through all the time to have Bruno carrying his can and have Caroll Spinney get out of the character and perform Oscar in a can not held by Bruno within the same scene (a lot of the old street scenes seem to have been done in one take, did they stop this by season 10?). Scarecroe told me that Bruno has a lot of dialogue in the script, it'd be interesting to see if much of that remained in the finished episode, not to mention if he was a big talker in his next appearances or if he switched to a more silent character by his next appearance. The season 12 episode where Oscar runs Camp Uglyyuccy in Bruno's junkyard, with Buffy being forced into attending (since she had, for some reason, been sleeping in Oscar's trash can when it was transported and she decided to make sure the kids are safe). The week or two of snow episodes in season 13 where we meet Maria's cousin Mercedes and Big Bird's penguin cousin Zero. The season 13 episode where Big Bird hosts a special ceremony so his friends can meet Mr. Snuffleupagus.... only for Big Bird to have forgotten to invite Snuffy. Season 7 episode where Cookie Monster runs for president. Season 13 (I think) episode where Big Bird and Snuffy go on a treasure hunt. Episode 900, a televised version of Ernie & Bert Sing-Along (I had heard the album last year, and it sure is an awesome album). Season 12 episode where Oscar runs for mayor (another one that I learned of from CTW Archives program guide instead of the trusted sources pages).